WPP has been awarded holding company of the year at the Cannes Lions, beating rivals Omnicom for the third successive year, after a record collective haul from its ad, PR and media agencies. Cannes Lions, which is owned by Top Right Group, positions itself as the premier global showcase for excellence in communications. The overall prize is based on the total number of awards won by holding companies’ agencies. WPP registered 2067 points (2012: 1554.5), followed by Omnicom with 1552 (2012: 1375.5) and Publicis Groupe with 989.5 (2012: 1032). WPP’s Ogilvy & Mather became the first network ever to win more than 100 Lions as, in a repeat of 2012’s result, it was named network of the year. WPP companies from more than 40 countries won Lions, across all marketing disciplines. Ogilvy Sao Paulo was named agency of the year. A WPP spokesperson was keen to stress consumer insight (market research) agencies – which form 25 per cent of WPP’s business – are excluded from Cannes Lions and in terms of qualifying revenues for the festival, WPP is smaller than Omnicom. 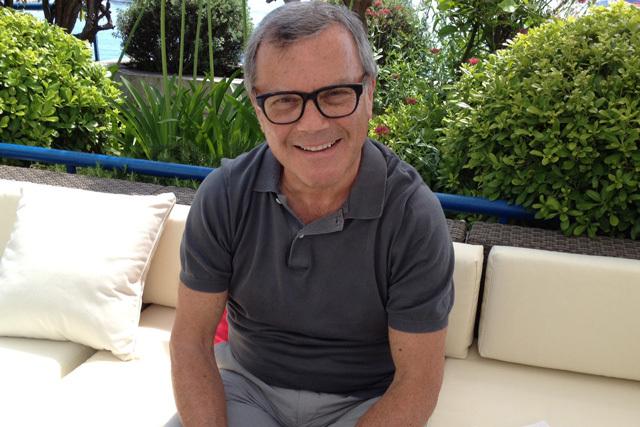 Sir Martin Sorrell, chief executive of WPP, said: "WPP agencies have put in a stunning performance at this year’s festival, where the quality of work has been hugely impressive across the board. I’d like to thank and congratulate everyone who made this result possible. As Cannes Lions and the Effies have recognised, our people are creatively effective, and effectively creative. We’re very proud of them all." The win follows the news earlier this week that the Effie Index has ranked WPP as the world’s most effective holding company – for the second year in a row. John O’Keeffe, worldwide creative director of WPP, said: "The holding company Cannes Lion for WPP, for the third consecutive year, is of course very gratifying. But the Effie award is every bit as satisfying. What we do, we do not for ourselves, but in the service of our clients’ brands the world over. To be judged the best in terms of both creativity and effectiveness, is a wonderful achievement by our people and a great tribute to their talent." Ogilvy Brasil, 'Real Beauty Sketches', for Dove. Y&R Dubai, "sale", for Harvey Nichols. Grey London, 'Hard, Fast And Effective', for the British Heart Foundation. Ogilvy Australia, 'Share A Coke'. Y&R Macedonia, '10 Meters Apart', for the Government of Macedonia. Grey New York’s work for DirecTV. Ogilvy France/Singapore, 'Sharing Can', for Coca-Cola. Ogilvy Amsterdam, 'Why Wait Until It’s Too Late', for Dela. Ogilvy France, 'Outdoor As Utility', for IBM. Ogilvy Brasil, 'Immortal Fans', for Sport Club Recife. Mindshare UK, 'Kleenex Catches Colds', for Kimberly-Clark. JWT China’s press work for Samsonite. AKQA, 'Nike+ Kinect Training', innovation. Click here to read all the news from The Cannes Lions International Festival of Creativity 2013.